I grew up being told Labor Day was started to honor workers and the rights fought for. This isn’t 100% true and I didn’t know this until relatively recently. In one my searches to argue with someone on the internet I ended up looking at https://www.dol.gov/general/laborday/history and finding out that probably isn’t true. This was before there were protections in place for unions and strikes – this was a scary thing for workers to participate. It wasn’t until 1935 when FDR got the National Labor Relations Act of 1935 passed that there was an actual law that guaranteed every employee the right to unionize. This is over 40 years in which the country celebrated “workers” but not necessarily worker’s RIGHTS. Now, that said – I don’t think it’s an accident it passed on June 26, 1894. For those that don’t remember, this is middle of the Pullman Strike – this is the strike where Grover Cleveland sent in the US Army to break up striking workers. Over the course of the strike at least 30 union members were killed. Now, they weren’t necessarily innocent of all wrong-doing, sometimes the striking workers attacked the train yards and set fires. Cleveland actually sent in the military because of public pressure (people were upset the trains weren’t running smoothly). 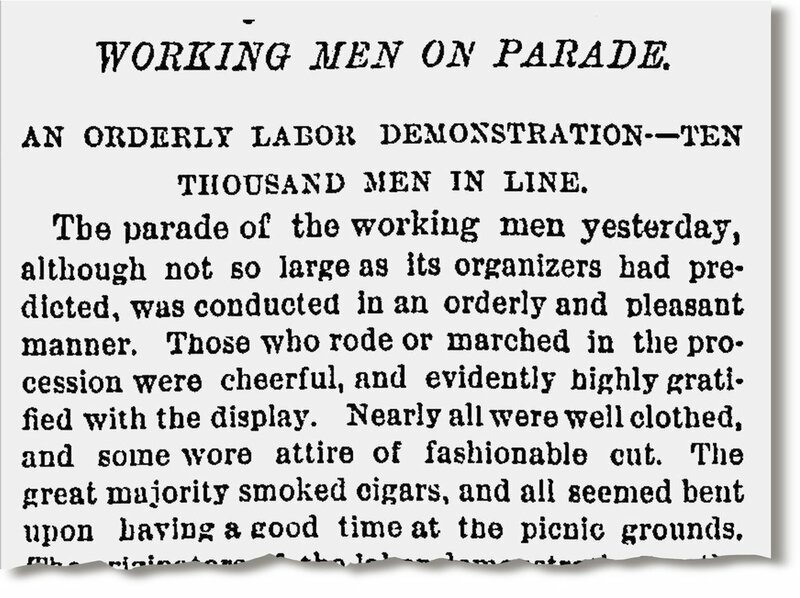 So it’s possible that Cleveland was trying to appease the striking workers (it was like 150,000 people on strike – no small number) by giving a holiday in “honor” of them. So, since this is the day after Labor Day – be aware that in our current climate of fighting labor vs. corporation – there is a LOT of history behind us. People have literally sacrificed their lives in order to gain and protect 40 hrs a week, no child labor, anti-trust laws, and medical leave protection.